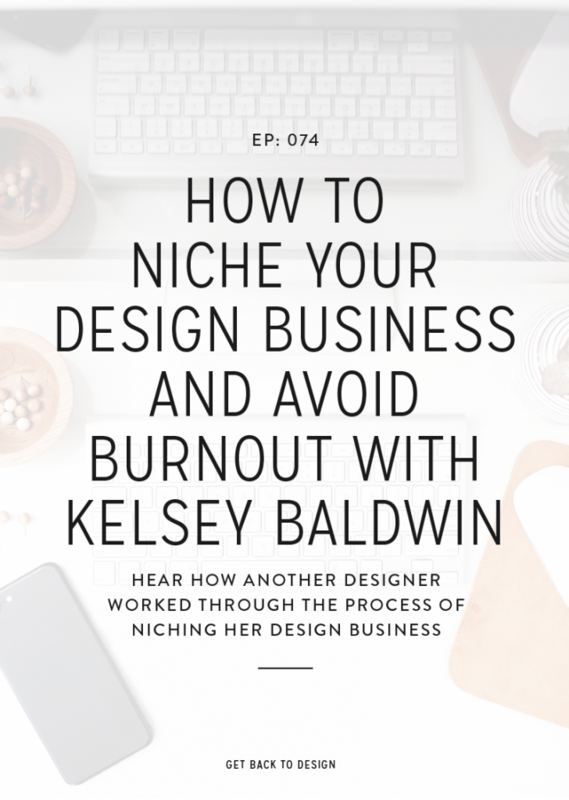 In episode 54 we talked about why it’s important and briefly touched on a few ways that you can niche your design business. 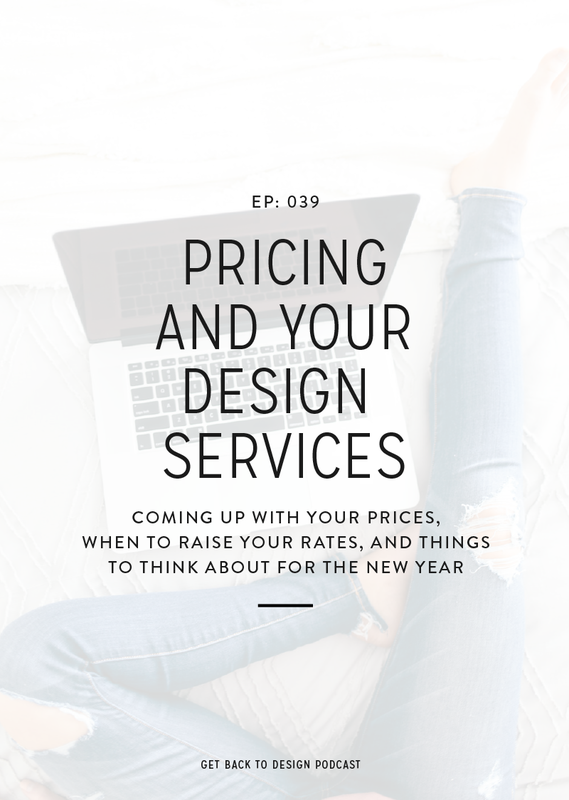 The key takeaway from that episode is that with the ever growing list of designers available for our clients online, having a niche for your services makes you stand out tenfold to potential clients. We know that it can be overwhelming to actually work through the process of niching your design business, though. 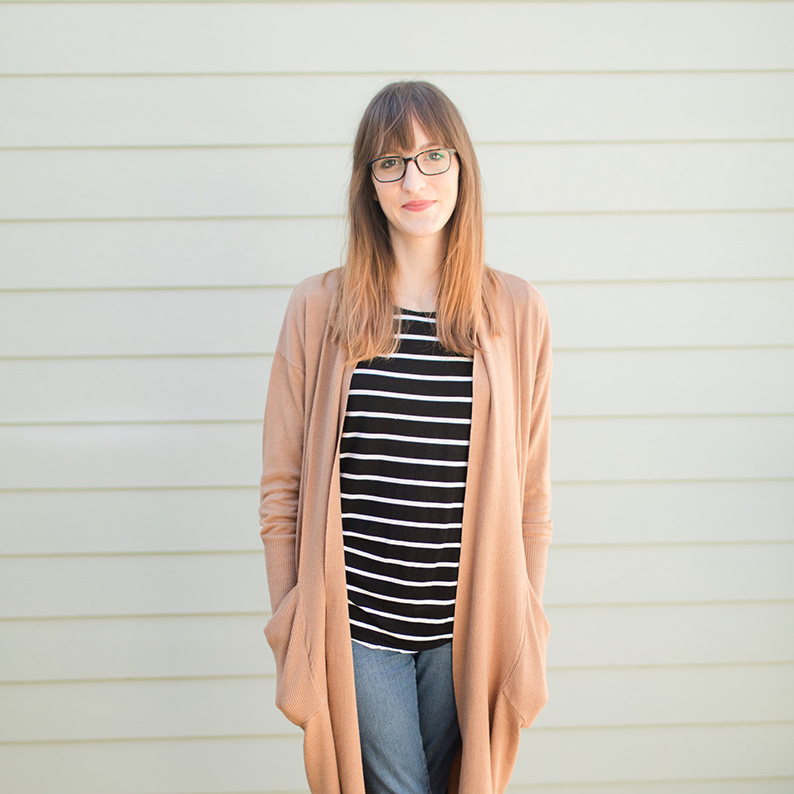 So today, we’re chatting with Kelsey Baldwin of Paper and Oats all about how she niched her business. We also talk briefly about how to avoid burnout with your business, in general, as we know all too well just how easy it is to find yourself just not feeling it anymore. She started out going to school for design and actually dove into freelancing while in college. Kelsey says she got her first freelancing jobs as free work that she found on Craigslist, which were a great way for her to learn how to work with clients and work with different design programs. After graduating, Kelsey went on to work at a design agency for 5 years, where she got to work on a variety of projects and learned a ton of different things. While she was working there, she was freelancing with clients on the side and also had an Etsy shop. With some big changes happening in her personal life, ultimately after those 5 years at the agency she started transitioning into running her own design business and went full-time when her daughter was 6 months old. Around that time she started hearing about niching down and realized that doing all types of design projects were starting to lead to burnout. 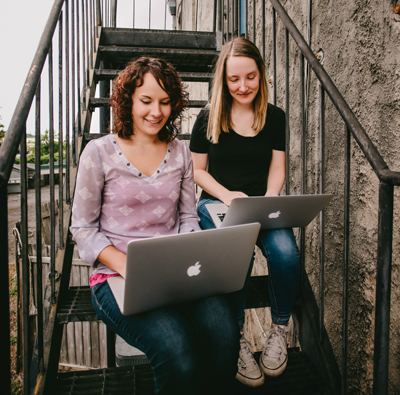 In 2015 Kelsey started doing more projects for digital products, including courses, and she ended up realizing that at the time no one else really offered those services. After having that lightbulb moment, she put together different packages specifically for people building courses and products. That lead to her getting a lot more steady work afterwards. Later, after working on digital product design for a while, she realized that she was starting to burnout again and ultimately decided to transition out of freelance work and into teaching through her courses. What made you narrow your offerings when you were still taking client work? The first client Kelsey worked with on a digital product design was her brother, which was a great way to learn a lot about the process and the differences in design for those types of projects. Once she finished the design for that first course, she realized she really enjoyed it. 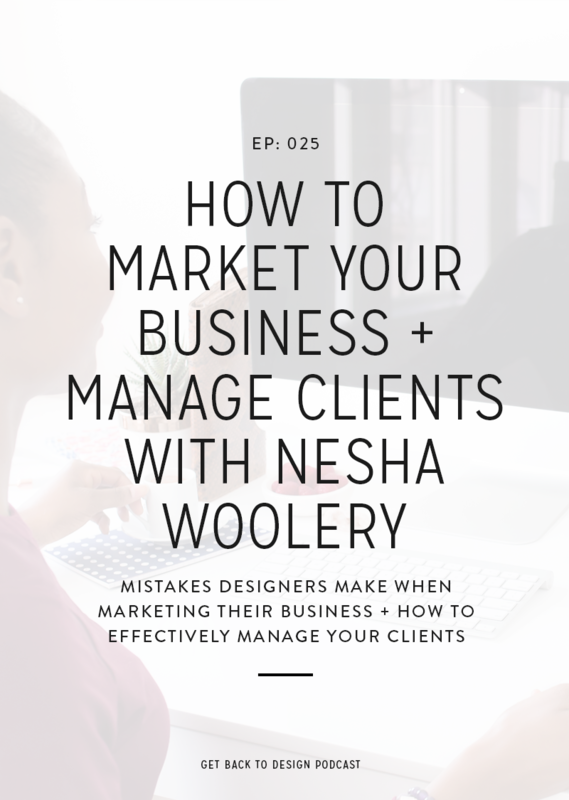 She also was realizing that designing someone’s brand for their business felt like a lot of pressure, and she was feeling burnt out trying to make sure her clients were happy. These things led her to narrow in on what she was offering her clients and niche her services. What were some of the benefits after niching your design business? 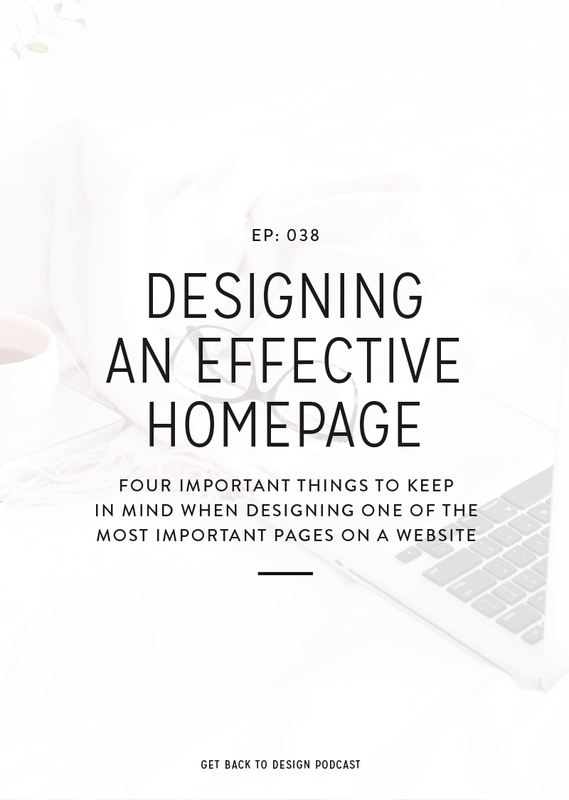 The biggest two benefits Kelsey experienced after niching her services were that it was a lot less pressure on herself to do design for digital products and that she had a lot more creative freedom in the projects she was working on. In addition to that, once she established herself as a designer for just that one thing, she became the go to person for digital product design. The first thing would be to look at the work you’ve already done and clients you’ve already worked with. Ask yourself if there were any specific parts of that that you were particularly fired up about. You can maybe think about how to turn that specific piece into what you niche down to and offer to clients. You can also think about your whole spectrum of different clients. Is there something in common with who you’ve worked with? Maybe a similar style, industry they were in, or type of project they hired you for. 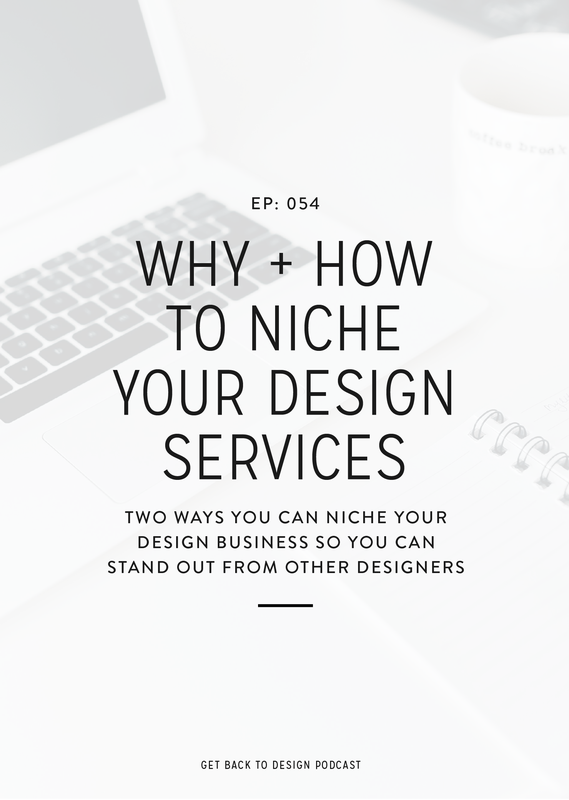 Those things can help give you hints at how you can niche your design business, as well. The key idea, though, is to look back at your whole portfolio of work and find patterns that you notice in your projects and clients that you really loved working with. That will be the biggest indicator of how you can niche your design business. Kelsey says it’s okay to take on any and every project you get. This is actually good to do because it helps you figure out what you like by doing a lot of different things. You might realize in doing this that you quickly find what you do or don’t like doing, and then you can niche your services and pursue what you like more after that. There were a few times specifically that Kelsey felt burn out in her business. The first was when she was doing brand design for clients before she niched her services. Also, sometimes she even feels burnt out now when she’s working on smaller admin tasks that aren’t creative or don’t feel like they’re really helping move her business forward. As simple as it sounds, one way Kelsey overcomes those burnout feelings is by trying to identify the parts of her to do list that aren’t feeling good anymore. Then she thinks about how she can get rid of those things – either from her business or her to do list. Kelsey recommends building in time off into your schedule and rest time away from anything work related. Once that time comes up, make sure you actually take it and really unplug. That means don’t check your email in between episodes of your favorite show on Netflix. Kelsey Baldwin is an author, designer, and entrepreneur. She runs Paper + Oats, an online blog and resource for creative entrepreneurs looking to do business on their own terms. She helps fellow creatives organize, design, and market their digital products, so they can share what they know, and look good doing it. As a single mother, she is also an advocate for women learning to sustain themselves and gain independence through online business.